Visita guiada a las Bodegas Riojanas. 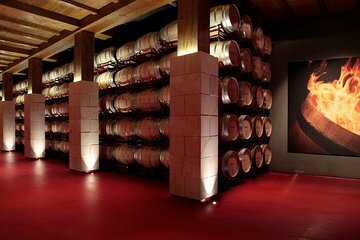 Learn about the wine-making history and traditions of the La Rioja region at Bodegas Riojanas, a wine-making company dating from the 1890s. You’ll enjoy an interactive journey through wine making at the winery, starting in the original 19th century building and seeing how the processes and equipment have changed over more than 100 years. Enjoy samples, as well as snacks to accompany them.